The world’s smallest, lightest, box style hydraulic wrench. Straight profile fits easily into tight areas. • Can be used with hydraulic pump or manual wrench. 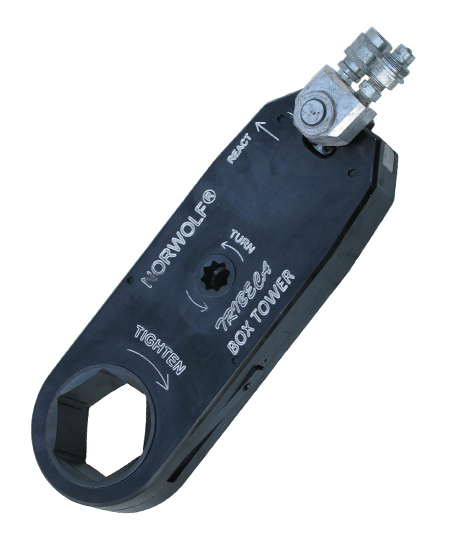 • 2:1 torque multiplication with manual wrench. • Totally enclosed aircraft aluminum body. • Light weight, slim-line body. • Available in single and double acting. • Available in square drive and low profile. • Available in 6 or 12 points. • Patented disengagable reaction pawl. • Built in alloy steel reaction block. • Optional reaction arm available.